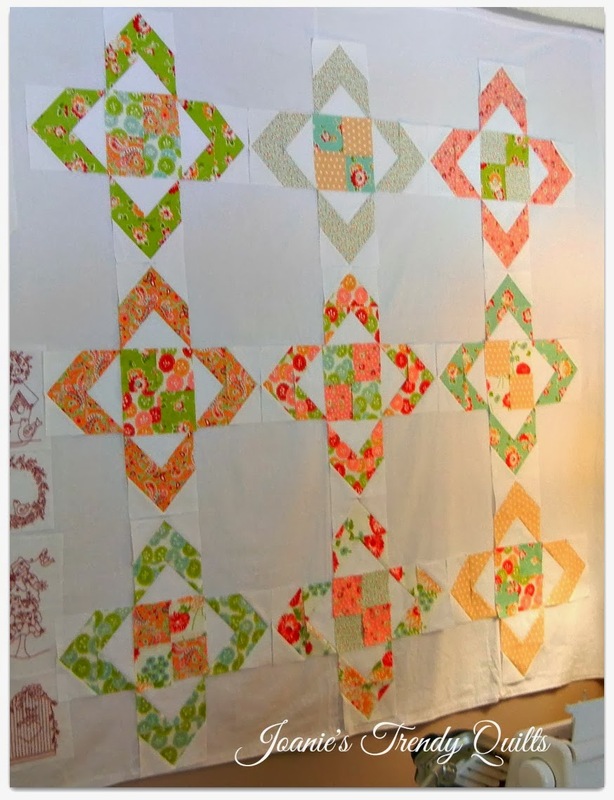 A friend, a quilting blogger, wrote it took her a whole day to make 288 half square triangles as we were sharing our experiences with the Star Light Star Bright Quilt-A-Long being led by Melissa at Happy Quilting. It took me a few hours a day for five days to complete mine. 288 HSTs sewn and trimmed!! They are scrumptious! The quilt is going to be beautiful! Your HST are wonderful! What method do you use? 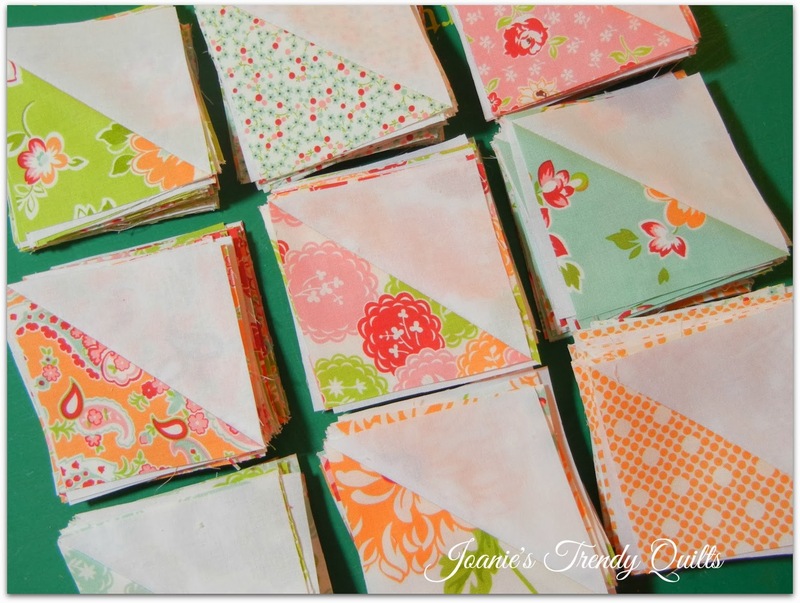 I just posted my favorite way to make lots of HST on my blog. Would love to know how you made yours - they are perfect. They are just so scrumptious!!! And I love the way you used your design wall to pair up your fabrics. The pairings are so very pretty. I can't wait to see this come together!! Very pretty design and fabrics! This is really starting to come along. I love the combinations you came up with. Your quilt is coming along quite nicely! HST week is always the hardest! This week will be far easier. Oh, yay! They are sew sweet! Your blocks look great on that design wall, Joanie! LOVE it! Beautiful HST! They are very sweet, the quilt is going to be wonderful. I love the versatility of HST's. They can be used so many fun ways. Your stacks are perfectly yummy, for sure!